CES® Launch for IoT Ecosystem. 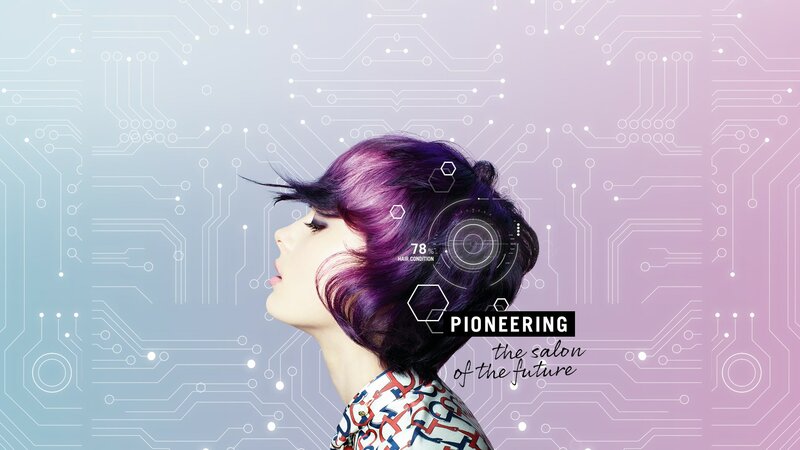 The SalonLabTM Ecosystem is Henkel’s latest innovation in the Internet of Things, enhancing the salon of the future with data-driven insights and personalised care products. Together, a Promo Video, Event Collateral, Social Media Content and Press Presentation helped convince various audiences of its benefits, resulting in two CES Innovation Awards and coverage on major news sites such as CNN, Venturebeat and Engadget. True innovation takes a lot to make it happen, yet the promotional video had to explain the Iot ecosystem components and how they are used during consultation in an easy-to-understand manner. Thanks to Global Brand Ambassadors Lesley Jennison and Kim Vo demonstrating the insalon usage and benefits offered to hairdressers, the spot makes the exciting future of personalised consultations feel closer than ever. Computer Generated Imagery was key for the communication of hardware features and the inner workings of the Analyzer and Customizer, which are otherwise hidden from the user but play a vital role in the SalonLabTM success story. Of course, an innovation of this calibre has a lot going on behind the scenes to create a pleasing user experience on the outside – a story worth telling tech and hairdressing industry journalists in more detail. Hence, a polished multimedia presentation was created for the press meetings to give more insight into the technologies and features as well as illustrate the benefits a data-driven consultation will have for hairdressers and consumers. Amplifying the story on-site and online. Drawing on the many animations, product renders and graphics from video production, a collection of printed communication material to complement the exhibition stand at CES® was designed. In addition, product animations were repurposed as part of the SalonLabTM social media campaign, leveraging the buzz and communication material beyond the event. The CES® proved to be the perfect occasion for Henkel to announce their innovative SalonLabTM – coverage on major news sites, an excited social media followership and most importantly two sought-after Innovation Awards are testament to the effectiveness of the tailored content.